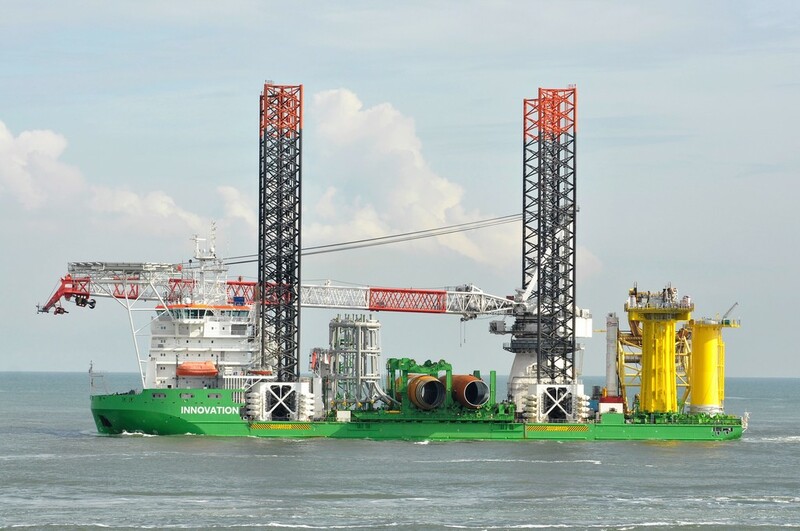 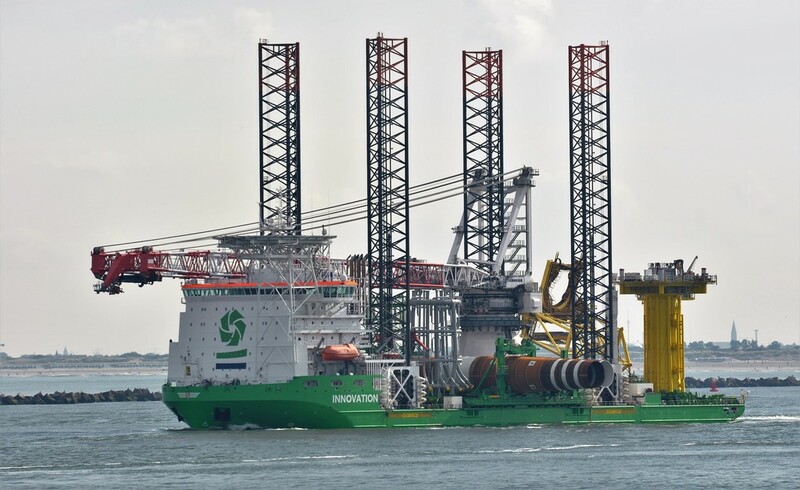 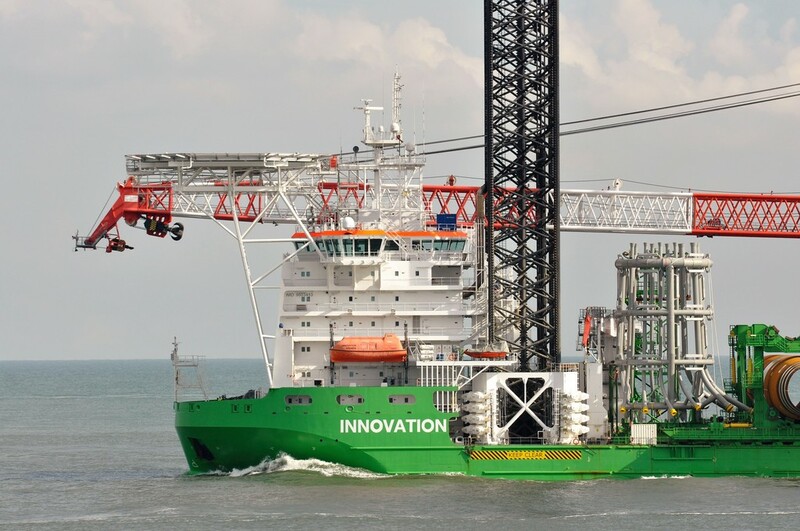 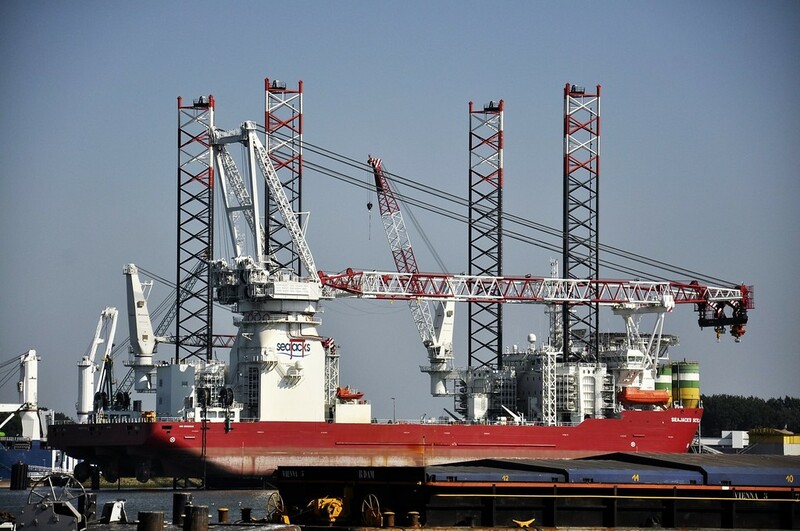 Offshore wind farm and their support vessels have been mentioned in several different threads. 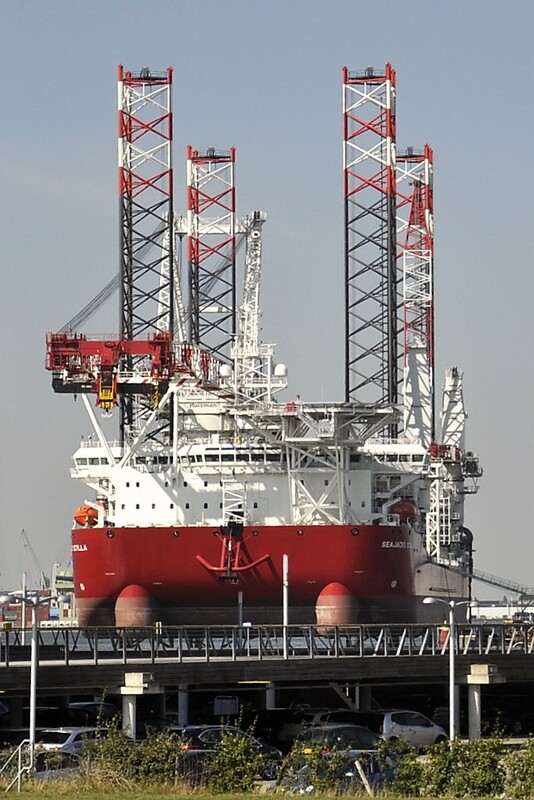 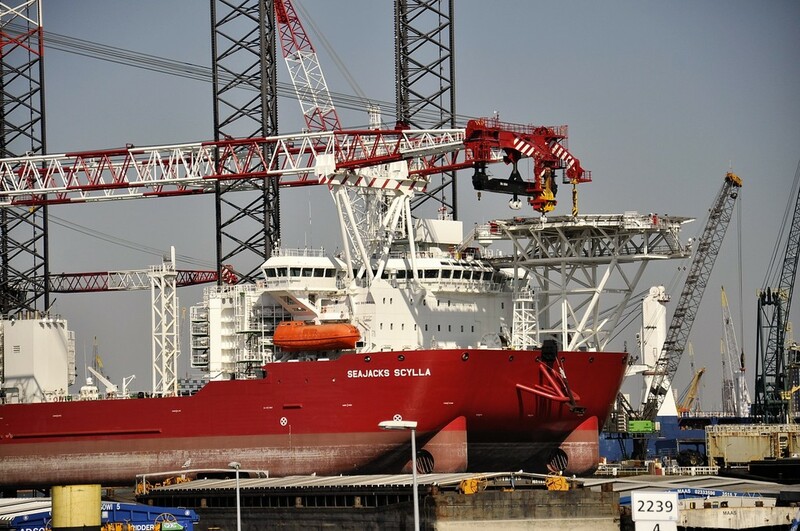 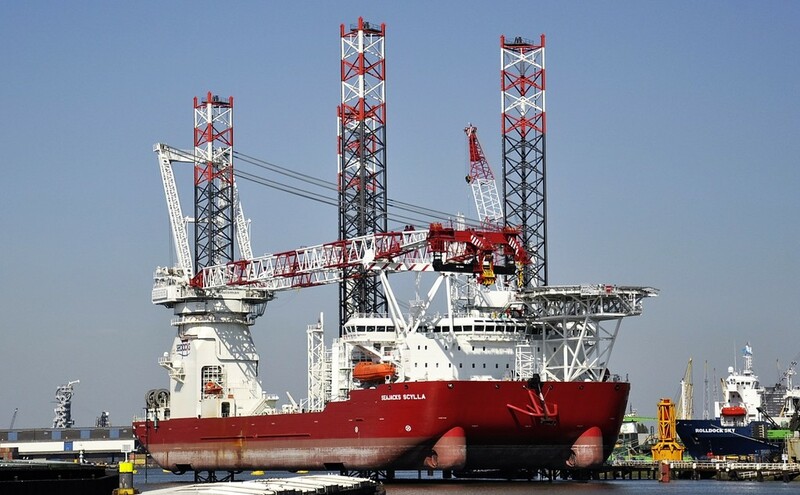 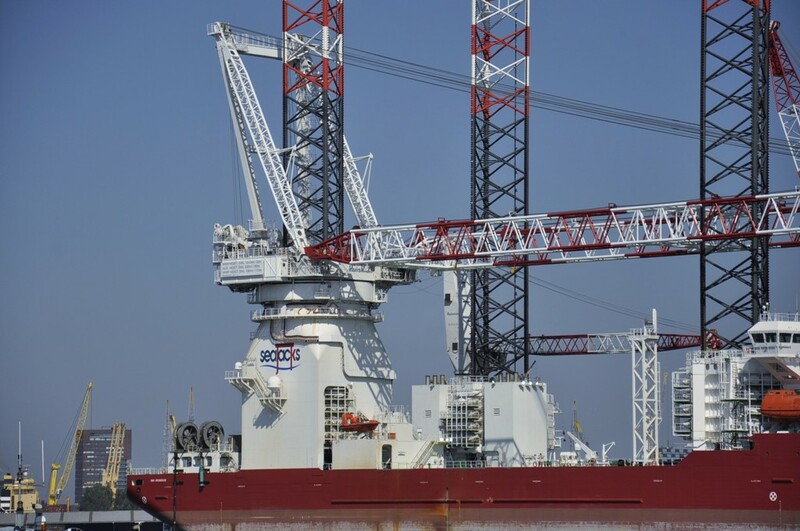 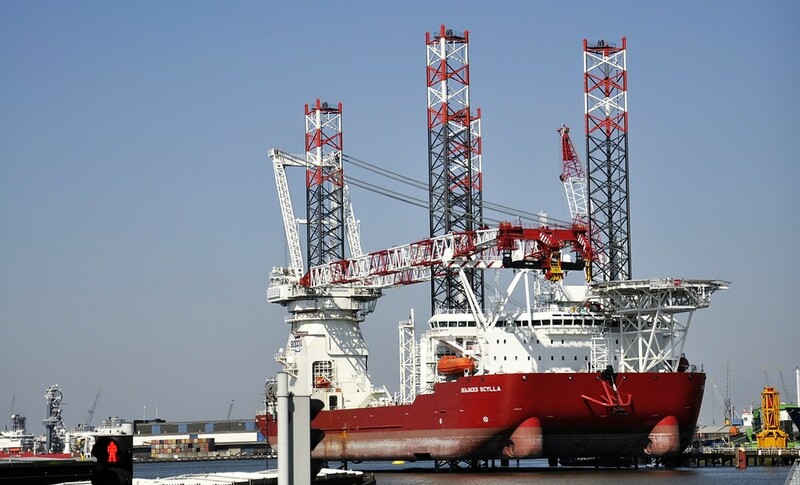 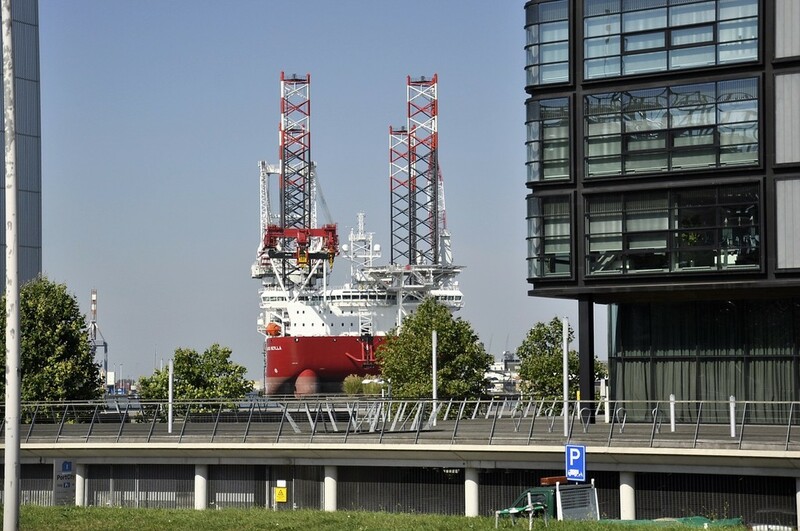 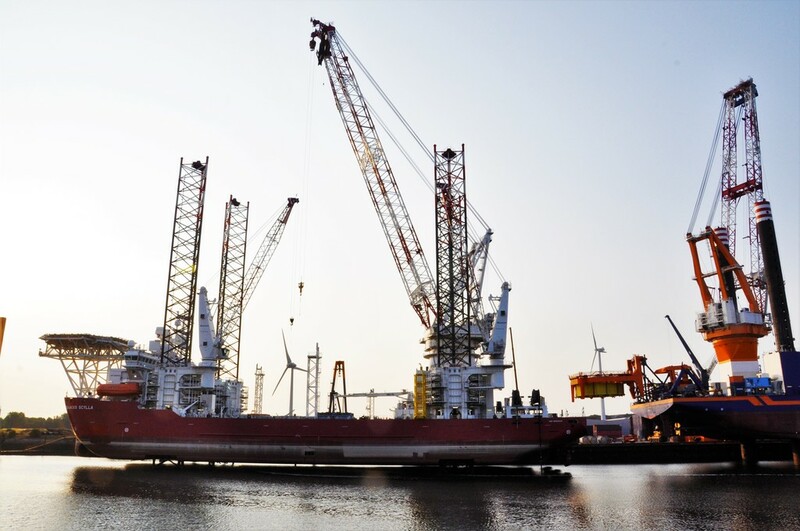 It is time to collect this into one, as it is fast becoming a very important offshore business and employs numerous people, vessels and equipment suppliers. 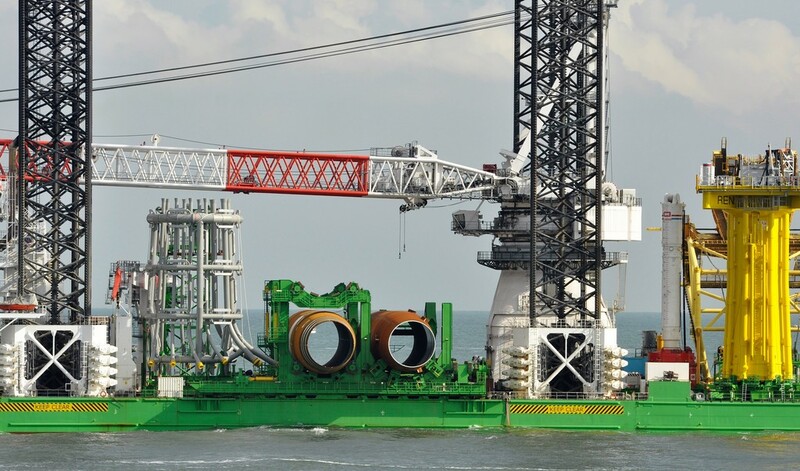 More and more of the electric power consumed in the UK, Germany, Denmark and Netherlands especially are from wind farms and the cost of producing such power is now becoming competitive with Oil, Gas and Coal fired power plants. 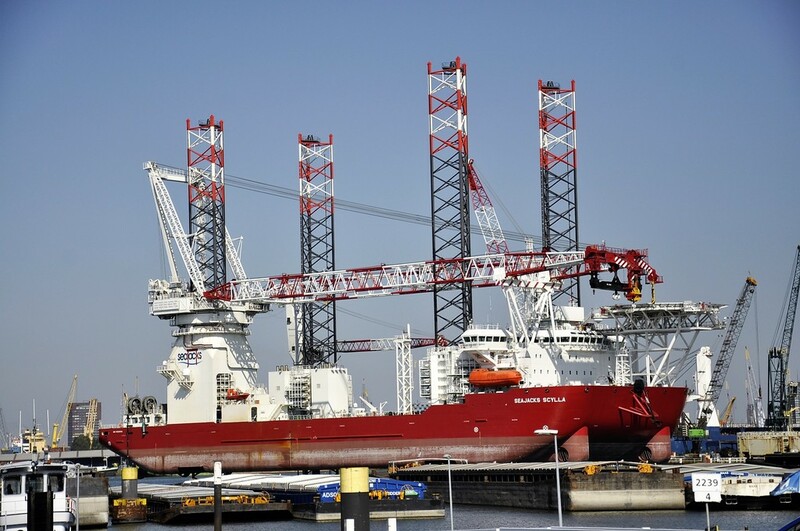 MPI DISCOVERY 9530096 at the Vlissingen harbour. 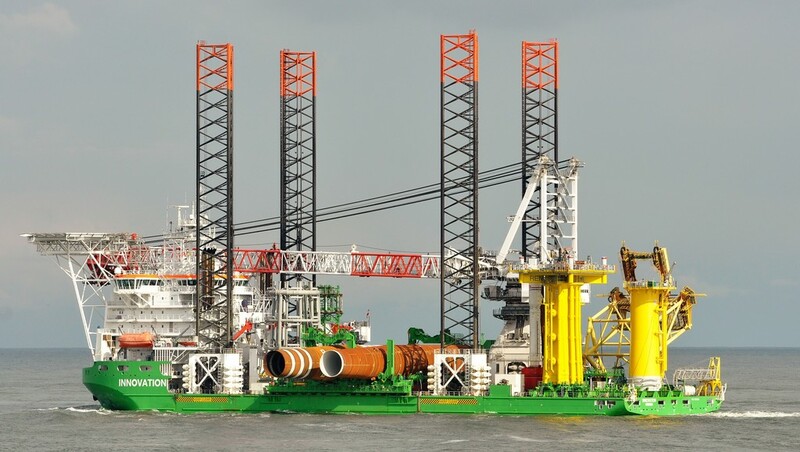 Strange to see that last image, something I have not seen too many times... a ship on stilts! 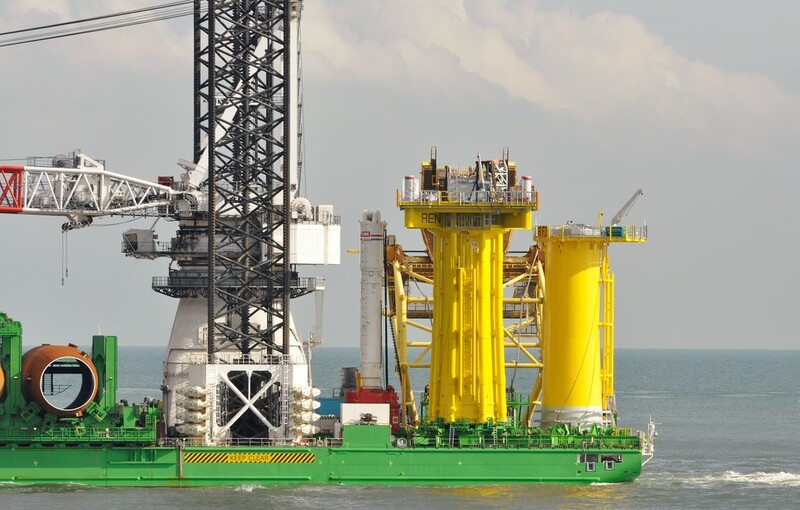 with al those upcomming windfarm projects we/i see them more and more.